Find out why More Than 400,000 Members Have Flocked to eNanny Source. 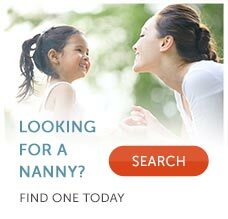 As many busy and budget-conscious families can attest, using eNannySource is an effective way to conduct a comprehensive search for a nanny without having to pay the hefty fees nanny agencies charge. And for nannies eager to take control of their nanny job search, the online service has empowered them to choose the type of job and family that is the best fit. Because of this commitment to excellence, eNannySource has now proudly helped more than 300,000 U.S. families and nannies find each other and create lasting relationships. Visit www.enannysource.com today to find out more. Tammy H., a mom from Connecticut, says this about choosing eNannySource, "I have used this service twice and have had the BEST of luck -- the 2 people that I have hired through enannysource.com have been tremendous!" Debra M., a nanny from Kansas, had lost her nanny job. "When I felt most depressed about not working I got myself out there on your website." Her former employer hired her back, but she says she "will miss every day not reading the nanny requests," [eNannySource's Today's Matches]. eNannySource is proud to welcome back former nannies who are now looking for a nanny themselves. Many nannies who used and trusted eNannySource to find employment are now returning after several years to search for a nanny for their own children. "It is nice to know that we have earned the trust of our members. Loyalty goes both ways," says Myers.